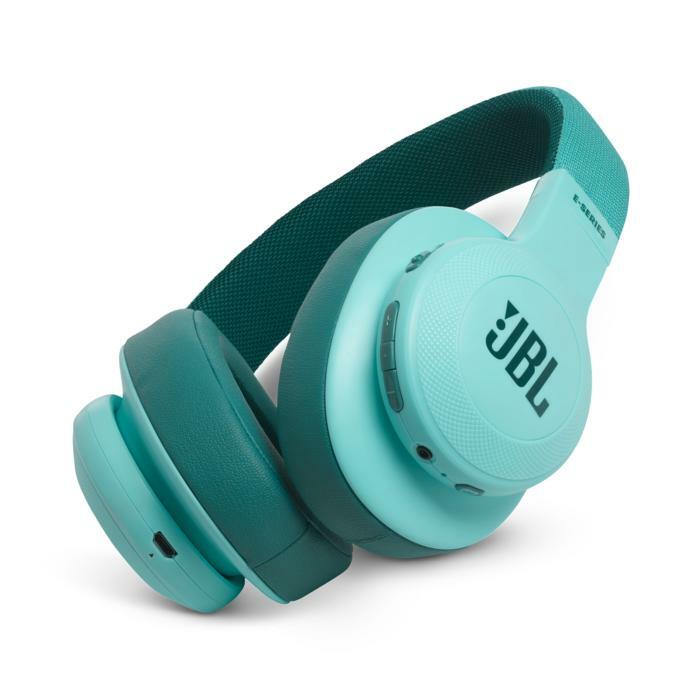 JBL’s E-Series headphones are designed to bring the company’s signature sound in a range of headphone models with a focus on style. At the top of the E-series lineup sits the E55BT wireless headphones. If you’re looking to grab some signature JBL sound for less than $150, these headphones might just be your ticket. Like all E-Series models, the E55BT comes in five bold monochromatic options: black, blue, red, teal, and white (my review pair happened to be red). Included accessories are Spartan. There’s a 3.5mm audio cable and a microUSB charging cable, but no carrying case or even a 1/4-inch adapter.